The highly modular WorkCentre 5300 series multifunction printer gives today’s fast-paced office environments a critical productivity advantage. The tasks you perform daily become highly efficient, while more intensive workplace processes are optimized with customizable workflow solutions that easily handle your unique business requirements. 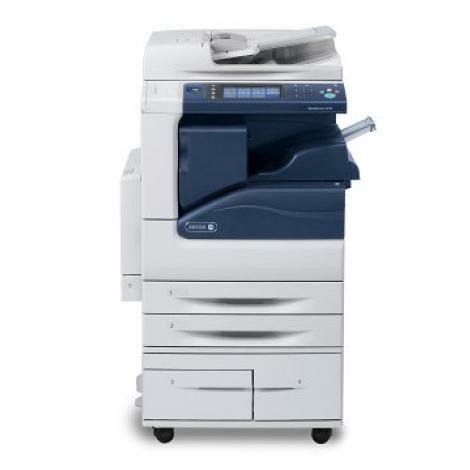 With exceptional copier performance and the option of adding powerful printing, scanning and faxing, the WorkCentre 5300 series is built to perform as a consistently high level. Plus, multiple levels of cost-control capabilities let you easily manage expenses by limiting, tracking and assigning costs. The WorkCentre 5300 series features state-of- the-art technologies for optimized security at the device and on the network. The space-saving WorkCentre 5300 series benefits your office and the outside world, with cutting-edge engineering that delivers big reductions in energy consumption.